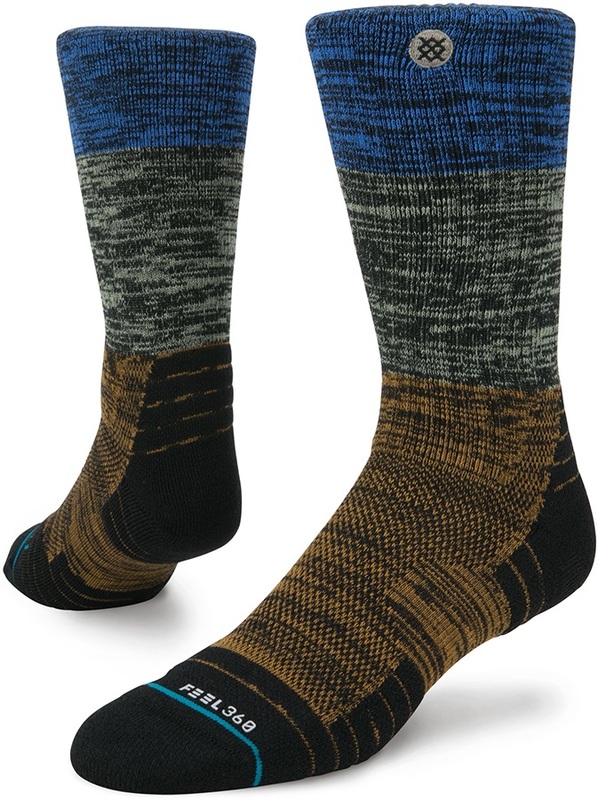 The Perrine Hike Crew Walking/Hiking Sock is part of Stance's Adventure range, which features incredibly durable socks that are packed with tech to make sure your feet stay comfortable while hiking, trekking and exploring the outdoors. Coupled with the awesome choice of colours and designs, you can't go wrong! Stance's own Uncommon Blend of twisted merino wool, polyester, cotton and nylon makes the Perrine Hike Crew incredibly durable and allows for superior thermo-regulation. The polyester and cotton wicks away moisture from the skin quicker than ever, while the properties in merino wool will keep your feet warm and also help to keep any nasty smells at bay! As with any good hiking sock, comfort is key and Stance have covered all bases. The Perrine's targeted leg and foot compression helps to prevent any swelling or inflammation during long walks, while the structural leg and foot cushion adds that extra bit of protection and support. The zonal leg and foot mesh will also help to keep your feet cool and comfortable. Keep your feet happy with the Stance Perrine Hike Crew - the sock that is perfect for any adventure!